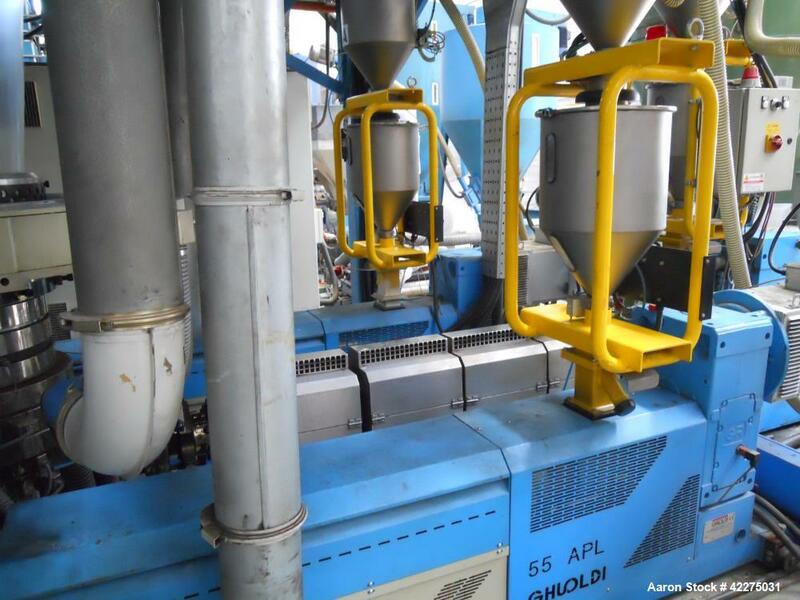 Used- Ghioldi Blown Film Co-Extrusion Line. Including: N. 2 extruders diameter mm.55, 78 kW 30 L/D N. 1 extruder diameter 75 mm. 142 kW, 30 L/D n. 3 lever type screen changers, melt control system 3-layers still die mm.300 gap. mm. 1,4 IBC cooling system AM500/2 dual flow cooling ring 2 temperature exchange batteries, electrical cabinets with Mitzubishi inverters. Oscillating pull-off system width mm.1700, working width mm.1600 FIFE web guider mm.1700. Bubble driver with vertical adjustment and sensor for automatic bubble inflating back to back winding station 1600 with 4 expandible mandrels. 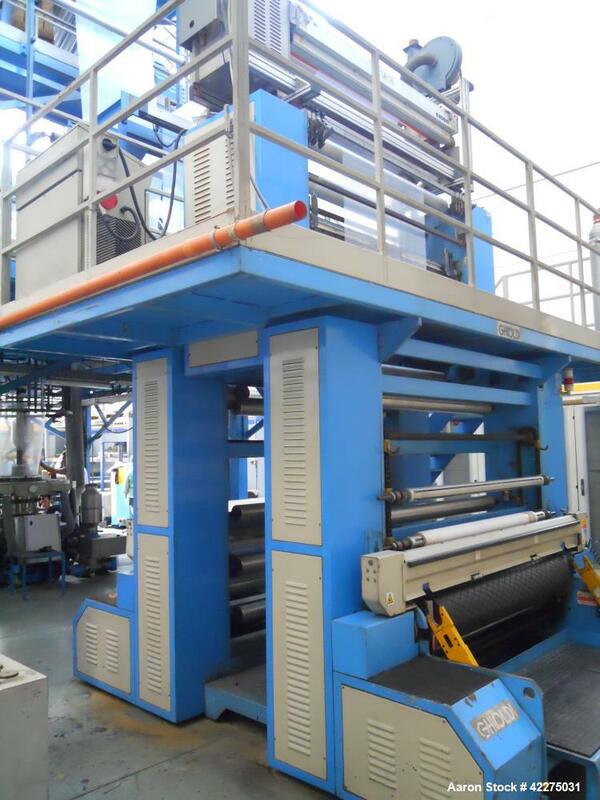 Automatic film cutting, automatic reel unloading system. Bolted 12 mm. tall tower with 3 storey, ladders Cason corona treatment mm.1700 DOTECO gravimetrical units (1 for each extruder) 30.000 chilling units chiller Some spare parts included, manuals, drawings. English program for PLC.